I think there may be some confusion and I know it’s Google that’s causing it. I’ve been meaning to talk to them about this. Above you reference their new Google+ Local page which is the one Google automatically created and upgraded users to. But they CAN’T edit that page the way you describe. They can only edit that page through the dashboard, just like old Place pages. But your instructions are for setting up a new Google+ page. Which will not change their Google+ Local page. So they will have 2 separate pages to manage via 2 different interfaces for now. Google has hinted that unless you really need the social features of G+ Pages right now, it may be best to just stick with your Google+ Local (Place Page) for now and wait until G turns that into a full blown G+ Business page. People can do what you suggest, but just want to make it clear they are not adding to or changing their Place page – but creating a new separate one. Part of the confusion is the the PRIOR Google+ Business page that you’ve been able to create for months now and select the local category – is called a Local Google+ page. Which is different than the brand new Google+ Local page which used to be a Place page. So confusing for all! Log in and edits STILL happen in the dashboard as before. The edits you are suggesting above will create a NEW totally separate Local+ Google page, and will not edit your Google+ Local page. Doh! Thanks for your comment and for helping to un-confuse me (well a little – still confusing). Again, thanks for helping to steer me in the right direction! Hey Phil, just posted a super long story I’ve been trying to write for a week, that explains more about the confusion above. Super convoluted branding. Surely you’ve seen my comment on your post. To you, Gentle Reader: I suggest you take a look at Linda’s post ASAP. No sorry, didn’t see your comment. Just approved and replied back with NEW info. Will copy it here too. I talked to Google and asked for clarification. Just got word directly from Google that we are EVEN MORE confused than we THOUGHT we were! Google Places is is now (and has been) called “Google Places for Business“. That is the BUSINESS branding and has NOT changed. Contrary to what EVERYONE thinks. The new CONSUMER facing side is called Google+ Local. The Business owner side has not re-branded yet and is still called “Google Places for Business”. Which still has Google Places information. After entering in my username and password, I’m in my Google+ Local dashboard (formally Google Places dashboard). So, I don’t understand why there is still supposed to be a Google Places for Business because it looks like it’s Google+ Local. I want to make sure the information I convey to clients is correct. Is the Google for Your Business Forum where we should hang out for the most current, up to date information? My favorite places I go an trust are the Catalyst blog, Local Visibility, Mike Blumenthals and Google Places Community Blog, which is now about Google+ Local with a Google Places logo on it http://places.blogspot.com/ and the Google+ Help Desk Hangouts, and Google for Your Business Forum. I spend more time, as I’m sure you do, trying to figure out what is what. PS: let’s try to get Vanessa back! That’s really odd. When I type in “Google Places,” click on the “Google Places for Business” sitelink, and then log in, I’m taken to the same old dashboard that’s always been there. Google hasn’t done any renaming of any of the backend, so the part that you and me and the business owner deals with basically hasn’t changed at all. In any case, I take it what you’re seeing when you log in at least *looks* the same as the old dashboard (?). Obviously Linda the super-awesome TC is more qualified to answer this one than I am, but yes, I’d say the place to get answers to these transition-related questions is the “Google for Your Business” forum. You’ll certainly want to take my instructions here with a grain of salt, but thanks in advance for any mentions! But in my comments I answered your Q above. “I talked to Google and asked for clarification. Just got word directly from Google that we are EVEN MORE confused than we THOUGHT we were! So contrary to every blog post on the planet Google Places is not dead like we all thought. So how do we add a review onto a Maps business listing now? It’s a plus.google.com/xxxxxx site and when adding a review now shows on Google+, and I only see it if I log into Google. Nobody else is seeing it. The reviews dont see to change and show the new review. Any tips? I take it you’ve seen my step-by-step walkthrough from last month? Be sure not to make the same mistake I’ve made several times, of accidentally looking at the “regular” Plus page rather than the Google+Local page. The latter should have a blue “Write a review” button right in the middle of the page – which you’ll see regardless of whether you’re logged in. Let me know how that works! Phil, I am still a bit confused. I had my Google places verified some time ago. Have since added Google+ and Google+ Local page for my business. On that Google+ Local page I see on the right hand side “Manage This Page”, when I click on it I am taken to my Google Places Dashboard and seem to have nowhere else to go. I understand that eventually I should get a light gray verified symbol to show up on my profile page for my business Google+ Local page up near the top to the right of my profile heading where it has my company name. Am I missing something? How do I get the + Local business page verified? I can see that someone can write a review if they type in my company name and city in the search my +Local page does comes up and a review blue button is there and I assume if clicked a review can be written, but not sure it will post or keep if I don’t have the verified symbol as explained earlier in this post. Maybe when setting it up I didn’t choose the right category, but I can’t seem to find where to check that or to edit it if I didn’t choose the Local as my category. Do you know if the review will stick without the gray verification symbol on my Google+ Local business page? If not how do I get that page verified since I seem to hit a dead end at the Places Dashboard. I have talked to others with the same issue as well as others that have the gray verified symbol showing up next to their business name. 1. Right: when you click “Manage this Page” you’re taken to the Dashboard, and there is nowhere else to go. Crazy as it may seem, there currently IS NO way to tell whether a given Google+Local page you’re on has been owner-verified. No “Owner-verified” badge. Let’s hope Google fixes this soon. 2. 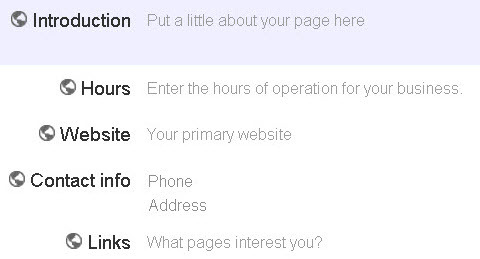 Assuming you haven’t already verified your page – which would be the case if you log into the Dashboard and can see that particular listing in your account, and you can see it visitor stats – all you do is click on that “Manage this Page” option. Then you just follow the steps from there, which are pretty much the same as the old steps for verification. 3. Yes, people can write reviews on your Google+Local page even if you haven’t verified it, and yes, those reviews should stick. The only caveat is that Google has REALLY dropped the ball recently, in that many customers will post legitimate reviews but those reviews won’t stick. Some businesses seem unaffected, but others have been affected big-time. It’s hit-or-miss. It’s Google’s shortcoming. I know I’m not along in hoping they get it fixed soon, though. 4. 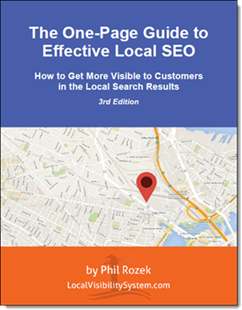 When you say “Maybe when setting it up I didn’t choose the right category, but I can’t seem to find where to check that or to edit it if I didn’t choose the Local as my category,” I can’t help but think you MAY be referring to your regular “Google Plus for Business” page rather than your Google+Local. I could be totally wrong on that, though. But at the risk of stating something you already know, the regular Plus page won’t show any sign of owner-verification, nor can people post reviews on it at this stage (true, you *can* now merge your Plus and Google+Local pages, but I don’t suggest you do so…but that’s a whole separate can of worms). The bottom line is I suggest you pursue the “Manage this Page” option IF you’re not verified already. You can start asking for reviews any time, too. Yes there is a way to tell if a G+ Local page is verified it. I blogged it and posted on my forum and have discussed a few times at various places. Kinda long, so this explains it: How to Detect VERIFIED STATUS on Google+ Local pages? Urrgh. Arrgh. Grrp. Why can’t they just bring back the “Owner-verified” badge with the checkmark?